We are glad to annouce that RINGO will be in Vienna (Austria) to attend the Transport Research Arena (TRA) 2018, to be held on 16-19 April. 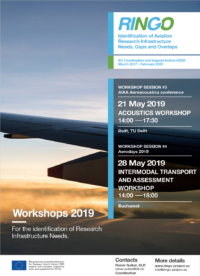 The project will present its paper “The RINGO project, identifying research infrastructure needs and gaps to foster innovation in aeronautical research in Europe”. With its focus on coordination and economic aspects, and presenting the forefront of European transport research, TRA2018 is a suitable place to present RINGO, a project strongly focussing on delivering coordination amongst strategic aviation research infrastructures in Europe and providing sustainable business models and funding schemes to maintain them. Click to view the programme of TRA2018.